« Did Universal Orlando Make The Wrong Call For Frequent Fear Passholders? If there was ever a time to be a theme park fan, it’s right now. With so many amazing projects happening around the globe, I can’t even begin to take it all in lately. Then today the announcement finally happened that very well could be a game changer for the entire industry. 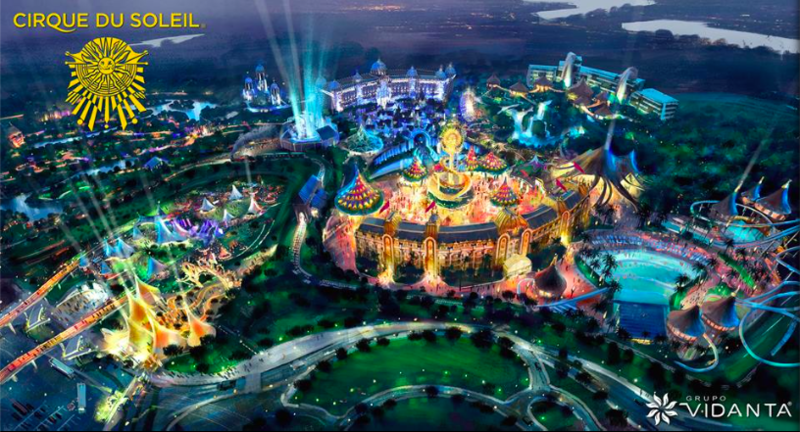 IN 2018, Mexico will be home to the world’s first Cirque do Soleil theme park. I may need a towel. Gary Goddard and his team at the Goddard Group have been working on plans with Cirque for quite some time. Yes, the Gary Goddard who brought us The Amazing Adventures of Spider-Man, Terminator 2 3-D and the incredible new Let’s Dream parade at Lotte World. That guy. 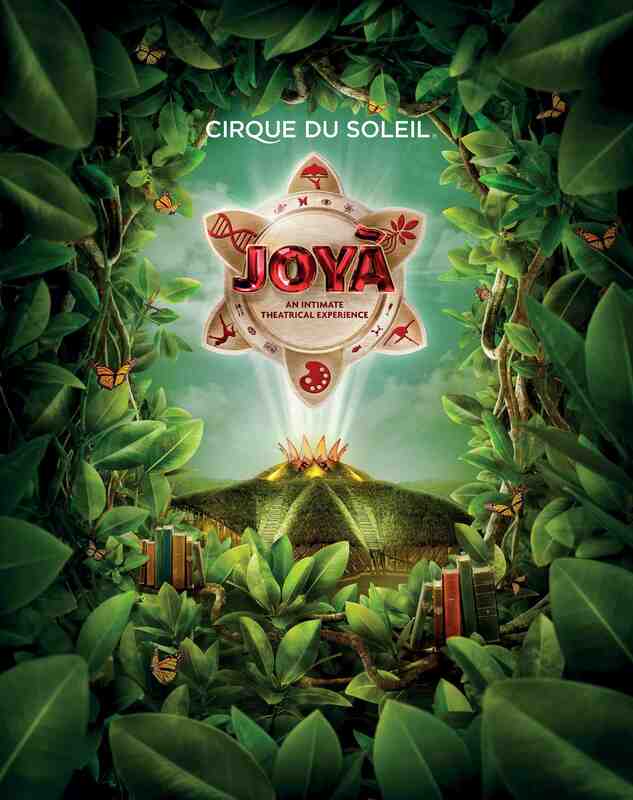 Is working in concert with Cirque du Soliel, the innovate theater troupe that turned shows into spectacles like La Nouba in Orlando, Ka in Las Vegas and soon to be JOYA in Mexico. Those guys. 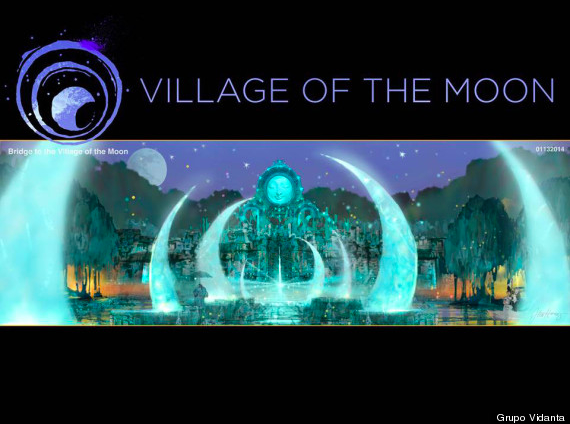 The third piece of the puzzle is a leisure and entertainment group known as Grupo Vedanta, which will be operating the park along with Cirque. They operate the Grand Mayan Resort in Riviera Maya, which also happens to be where JOYA will be opening on November 21, 2014. This show will be an intimate form of immersive theater that gives patrons the option to enjoy drinks and dinner along with the show. The cuisine will be a part of the experience and even though it hasn’t even opened yet, JOYA is already pretty much sold out through the end of 2014. While the exact park details are still in development, so far we know that it “may” include a water park and nature park elements. However, we do know there will be an outdoor evening show that will accommodate between 3,000 and 5,000 guests. Beyond that, details are still being ironed out and it’s hard to tell what the park will include on opening day. 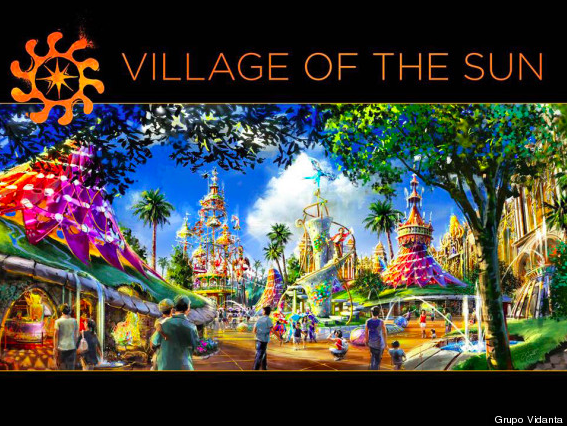 The one piece of concept art available clearly shows a train encircling the park, a wave pool, a roller coaster and a ton of performance spaces which is to be expected from Cirque. I have been saying for years that immersive theater and theme parks could be the perfect marriage. Not familiar with the concept of immersive theater? Click here, here or here to learn more and make sure to follow Theme Park University on Twitter and like our Facebook Page! This entry was posted in International Parks, News, Theme Parks 101 and tagged cirque du soleil, Gary Goddard, Grupo Vedanta, Joya, mexico, Spider-Man, theme park. Bookmark the permalink. Trackbacks are closed, but you can post a comment.